IKEA has released new wall switches. 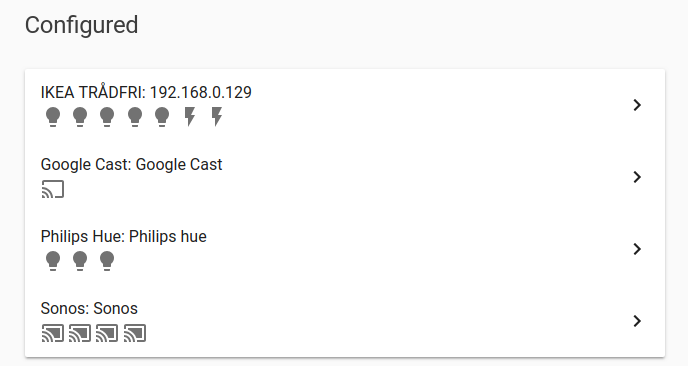 Support was added to pytradfri in 5.6.0 and the purpose of this PR is to add support to Home Assistant. "switch" isn't needed. The core will keep track of platform and domain. Tox passes the unit tests and lint, but return errors when installing deps for pylint and typing. Given that TravisCI passes, this should be ok anyways? Should we add tests? There are some tests but not for all existing platforms. """Load Tradfri switchs based on a config entry.""" Why do we need to disable this? I must admin I borrowed a lot of the code from the Trådfri light-component and this line is in there. That aside, won't lint throw an error when you do an import that's not at the top of a module? No, we import here since we import something from the requirements library. Try remove the disable. Looks like it worked without the line. I looked into the tests folder earlier today and it looks like the tests are all not really relating to what the component does, merely how it's setup within Home Assistant. What are the general guidelines here? We have excluded these modules from coverage so tests are not required except for config flow. I think it's ok to not add tests for this platform. Can be merged when build passes.